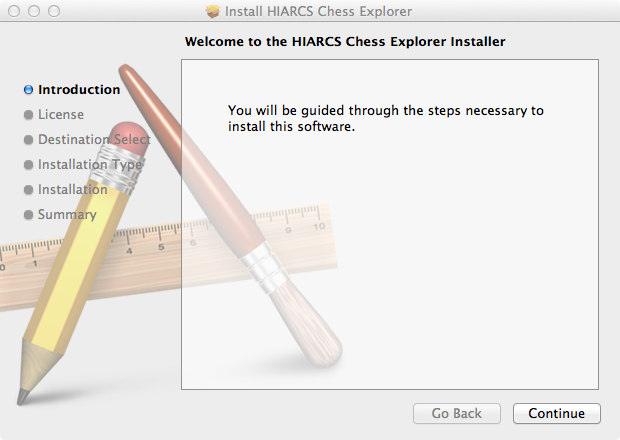 You can now drag the HIARCS Chess Explorer package from the /Applications folder to the Dock bar to make it easy to launch the application in future. 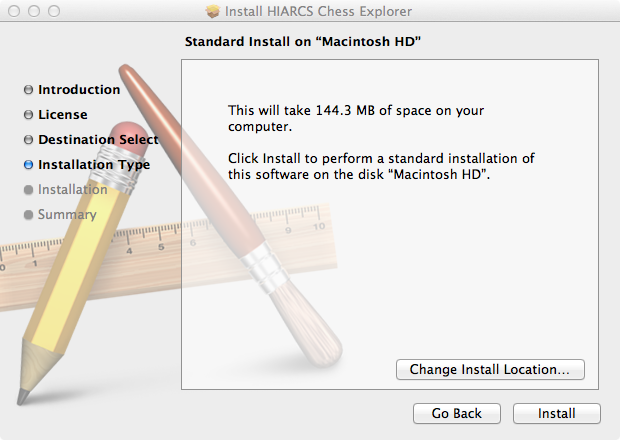 The Dock bar is normally at the bottom of the screen, you can see an example below with the HIARCS Chess Explorer icon in the Dock bar. 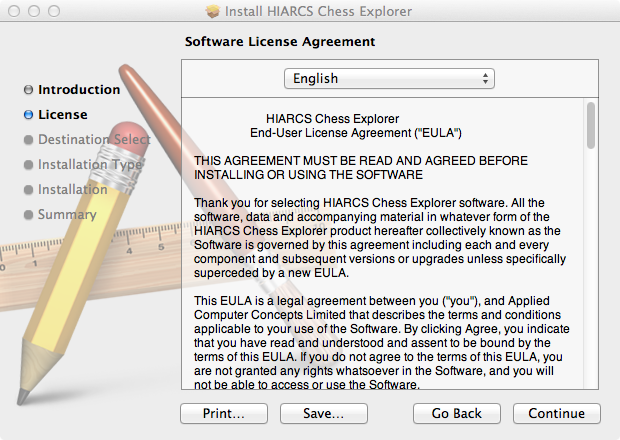 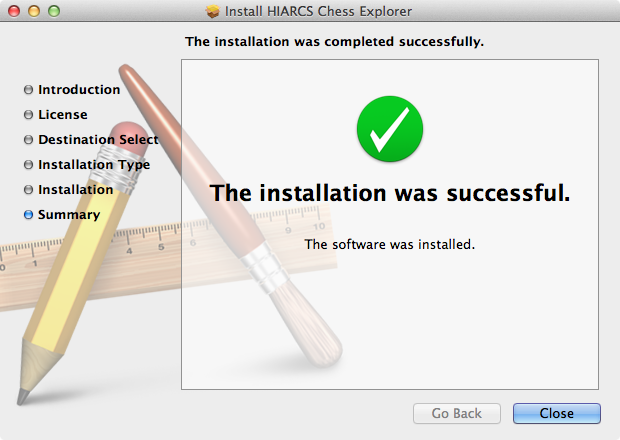 Once this is done you can launch HIARCS Chess Explorer by clicking this icon in the Dock bar.